Progress is an international festival of performance and ideas presented in partnership by SummerWorks Performance Festival and The Theatre Centre. The festival is collectively curated and presented by a rotating series of Canadian organizations, operating within a contemporary performance context. After six years, over 800 artists and 130,000 party-goers, the AGO has decided to end its ever popular First Thursday. AGO invites you to party with them as they honour the groundbreaking event that made the AGO into a destination Toronto Life described as “the city’s hippest hangout” and brought incredible art experiences to Toronto’s late night scene. Don’t miss out on your last chance to take part on February 7th. Long Winter is Toronto’s essential all­-ages, pay-what-you-can inter-­arts series that takes place throughout the winter months. Featuring over 200 local artists/collectives and welcoming 5,000+ participants per season, Long Winter animates multiple rooms on multiple floors, transforming spaces into immersive, collaborative environments. Events are dense and eclectic, showcasing a broad cross-section of Toronto’s cultural and sub-cultural artistic activity. Featured work includes performance art, theatre and dance, large-­scale sculptural installations, projections (single and dual screen videos, still images), visual installations (print, painting, photography collage) and interactive presentations including original video games by local programmers. Celebrate winter in the heart of the city at Bloor-Yorkville’s 14th Annual Icefest! 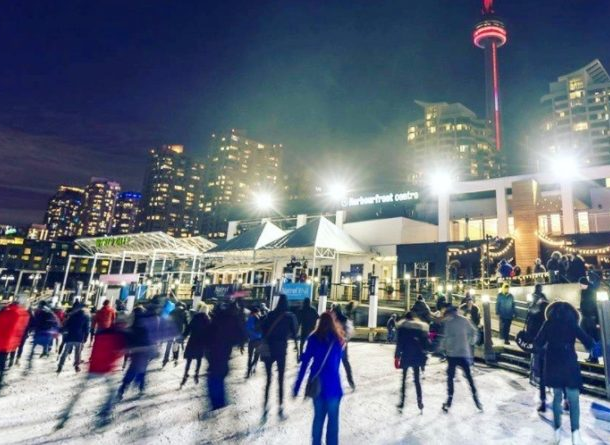 Toronto’s premier cultural district will celebrate by transforming into a showcase of incredible ice sculptures and live ice carving demonstrations. Inspired by Heart Month and the Valentine’s Day season, the neighbourhood will be transformed into a magical showcase of crystal clear ice, sculpted into iconic pieces. Patrons can expect to be dazzled by these ice creations while enjoying the Icefest Lounge, Maple Syrup Taffy Station, an assortment of vendors, and exciting prize packages. Open to the public, Bloor-Yorkville will be fundraising with participating partners and sponsors in support of the Heart and Stroke Foundation. Rhubarb is a space for artists and audiences to experiment together by trying new things and testing their boundaries. You always get to see more than one show (often 3 or 4) in one night, and no two nights of Rhubarb are ever alike. So come out and see what’s happening. Wavelength warms up winter with the 18th annual Wavelength Winter Festival! Running February 16-18 at The Garrison, #WL18 is a three-night live curated mixtape of the best NEW independent music from the North American underground. Adventurous music fans are invited to spend their Family Day weekend with Wavelength and discover their favourite new bands and artists of 2018. This year, our February festival is embracing the spirit of the season and getting a rebrand as the Wavelength Winter Festival. It’s going to be all about comfort, coziness, and community over these three jam-packed nights at The Garrison. Break free of your hibernation and make winter fun (again)! The Canadian International AutoShow (CIAS) is Canada’s largest auto show. This event has been held in Toronto, Ontario since 1974 and is staged annually in February at the Metro Toronto Convention Centre. It draws an average of 300,000 visitors throughout its showing from Ontario and Western New York. The Canadian International AutoShow in partnership with AutoTrader exhibits over 1,000 cars, trucks, and SUVs as well as, concept cars, exotics, classics, motorcycles and alternative energy vehicles. Winter Stations is now embarking on its fifth year, again opening an international design competition to bring temporary public art installations to The Beaches for an exhibition to celebrate Toronto’s winter waterfront landscape. This is a single-stage open international competition, welcoming artists, designers, architects and landscape architects to submit concept proposals for Winter Stations’ temporary artwork installations. From collectors and curators, to gallerists and designers, visitors can explore and discover works of art from over 300 top contemporary artists from Canada and abroad. This is a unique opportunity to meet and buy art directly from artists at Toronto’s favourite art fair.